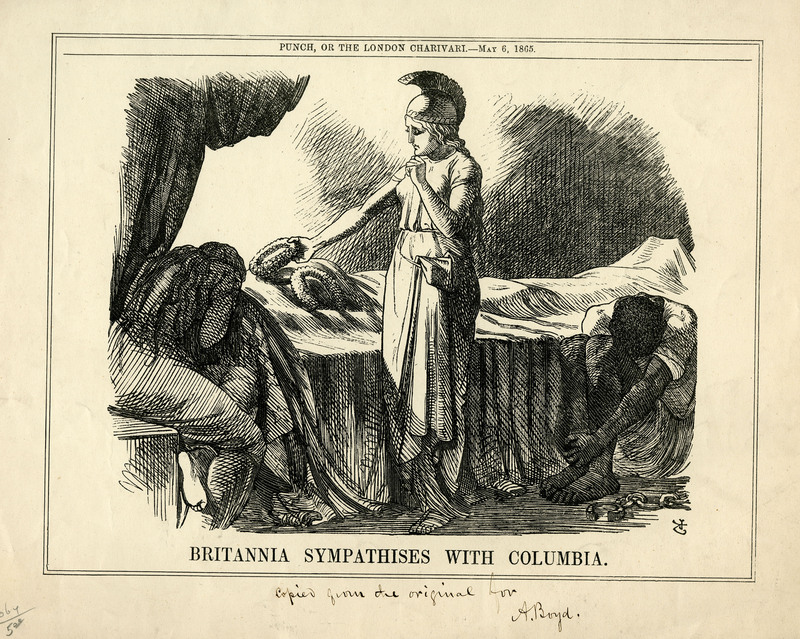 Cartoon from the British newspaper Punch which appeared in the May 6, 1865 issue. This copy is later and includes the note in manuscript. "Copied from the original for A. Boyd" (likely Andrew Boyd of Albany).